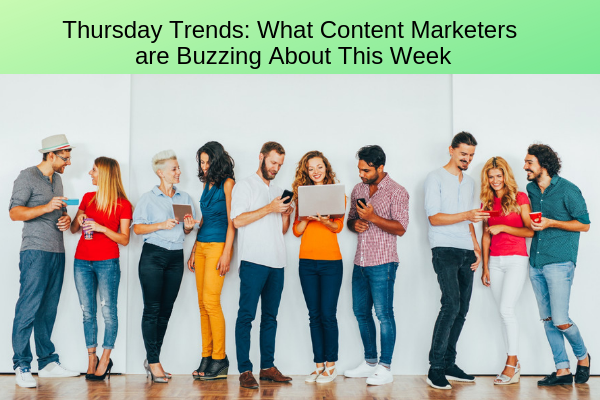 This Thursday, turn back your content marketing clock by learning how to make old content new again, get out of the stone age and into the post-wheel era with repeatable marketing strategies, and find out whether a literacy problem has infected the nation’s marketers. Finally, pump out flawless content by avoiding this week’s top content marketing mistakes. If you’ve been working at the content marketing game for a while now, then you should have an archive chock-full of old content. When you think of this content, you might imagine it wrinkled, sagging, dusty, moldy, covered in cobwebs, or styled with once-cool frosted tips. When it comes to marketing (and people), however, you will be better off if you drop the agist attitude and embrace your once-vibrant content. Although you might find it hard to believe, Marketing Land argues that this moldy old content is more akin to buried treasure than the months-old actual mold buried in the back of your fridge. In their article, they teach you how to take your aged content and make it like new again. With their tried and tested anti-aging process, your old content can come out of retirement and start working for you again. It Took Homo Sapiens Nearly 300,000 Years to Invent the Wheel — Don’t Reinvent It. You put together an entire marketing campaign complete with measurable goals, a schedule, a content marketing strategy, heaps of content, and lots of brilliant, clever ideas. You execute the plan and finish the campaign. You catch your breath, celebrate, and then realize that you have to do it all. over. again. You don’t reinvent the wheel every time you go for a bike ride. So, why should you have to reinvent your marketing process every time you start a new campaign? WriterAccess argues that there’s no reason to build every marketing campaign from the ground up. With the right strategy and tools, you can create and implement a marketing system that you can work through repeated cycles, again and again and again. A Literacy Problem in Marketing — Does This Means Pigs Are Flying? I checked, and the pigs are all safely grounded. Probably, because marketers have a very possible literacy problem with numbers, rather than an unlikely one with words. Sure, most business-minded marketers understand that they need to measure the success of their content and campaigns, but most have a lot of trouble understanding the data used to measure their success. So when the numbers come in, marketing teams have a tough time determining whether they were successful, let alone understanding how to adjust future marketing campaigns for improvement. This article from Content Marketing Institute brings some shocking statistics on the matter of measuring marketing to light. The article focuses on a study which surveyed public relations professionals, marketers, and business owners to see how their data analytics skills measured up. The results were pretty dismal. Find out what how marketing data challenges marketers and learn how you can improve your data skills. You’re Good Enough. You’re Smart Enough. And You Will Not Make These Mistakes. Good content marketing checks off lots of boxes: SEO, brand, voice, consistent, entertaining, educational, useful, scheduled, strategic, measurable, and the list goes on. To do content marketing right, you have to multitask, considering all of these different goals and rules while focusing on your audience and creating killer content. It’s easy to miss a beat, or several, along the way. In their article, AZ Big Media points out some pretty serious mistakes that can easily be made in content marketing. Their advice will help you balance your content and avoid content marketing mayhem to get the most out of the time and resources you dedicate to meeting those lofty marketing goals.